Fits a standard single window. 1 1/2" rod pocket, 1 1/2" header. Use a standard one inch clear or white rod for hanging. Decorative rod may also be used. This elegant valance comes from our Sea Glass collection. The semi-sheer, softly textured fabric comes in five light, lovely colors: white, natural, pink, blue and green apple. Measuring 84 inches wide by 15 inches long, this valance fits a standard single window and gathers for a full-bodied look. The valance includes a 1 ½-inch header and a 1 ½-inch rod pocket. Use with a 1-inch clear, white or decorative rod to hang. Dimensions 56" x 36" to the pair. Center is 12"L.
The Oyster Bay voile tailored swag comes in three colors: white, ivory and lemonade. 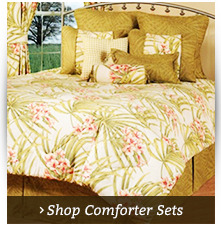 This two-piece set measures 56 inches wide by 36 inches long with a center length of 12 inches. Made from 100 percent polyester, this set can be machine washed on gentle in cold water, tumble dried on low and warm ironed as needed. A 1-inch hem, 1 ½-inch rod pocket and 1 ½-inch header are included. A matching valance is sold separately. Beautiful sheer voile detailed with 1" hems. The Oyster Bay tailored valance measures 58 inches wide by 12 inches long and features a 1-inch hem, 1 ½-inch rod pocket and 1 ½-inch header. It's made with a beautiful sheer fabric. Because it is 100 percent polyester, the valance can be machine washed cold on gentle, tumble dried on low and warm ironed as needed. Use this valance on its own for a simple look or combine with tailored panels or tier curtains for a fuller appearance. These sheer Oyster Bay window valances with center tassels from The Curtain Shop are available in white, ivory, sky blue, lemonade or moss. 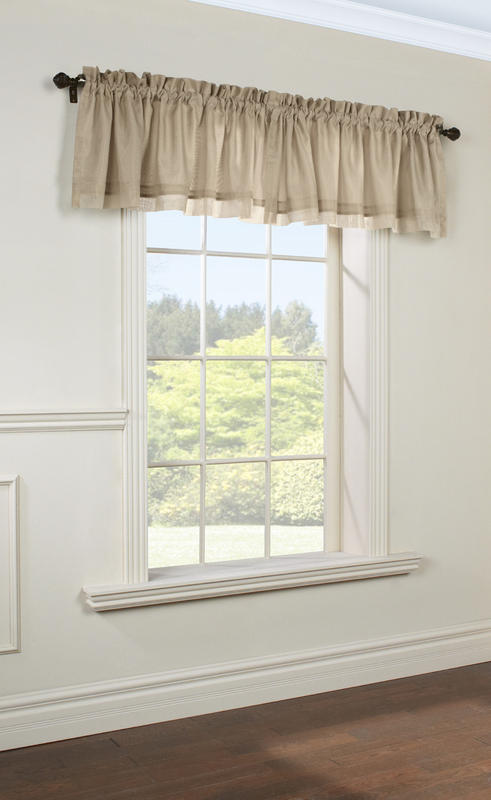 The generous 58-inch width and 1 1/2-inch header on this sheer valance creates a pretty gathered effect on standard-size windows. The length is 20 inches at the sides and 10 inches at the center, which has an elegant tassel embellishment. The curtain rod pocket is 1 1/2-inches. We carry matching tailored panels and tier curtains. These curtains are machine washable using cold water settings. Tumble dry on low heat. Colors: White, Ivory, Sky Blue, Lemonade. The Oyster Bay scarf valance comes in five soft colors: white, ivory, moss, sky blue and lemonade. You'll love that these 100 percent polyester sheer voile window scarves can be machine-washed in cold water. Use a gentle cycle followed by tumble drying on low heat, then touch up with your iron as needed. The Oyster Bay scarf valance is 58 inches wide and comes in 144-inch and 216-inch lengths. The Rhapsody tailored voile valance by Weathermate Thermalogic is available in white, ivory, mushroom, chocolate and aqua from The Curtain Shop. 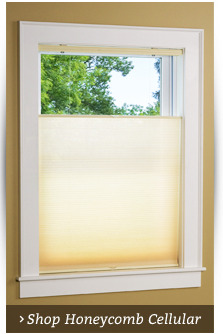 It's fully lined in a 54-inch width that will fit a standard single window. For larger windows, order two. Click on our Curtain Sizing page to learn how to measure your windows for the best look and fit. Create a light, ethereal look with these sheer bell swags made with 100 percent high twist voile in a chevron motif. Each of these Rajah curtains has beaded fringe with delicate pearls and attached tassels. The two piece Swag measures 54 inches wide by 38 inches long. The Bell Center Insert measures 58 inches wide and 20 inches long, and are sold separately. Dimensions: 60"W x 36"L (to the pair). Bell Insert (center) is sold separately. 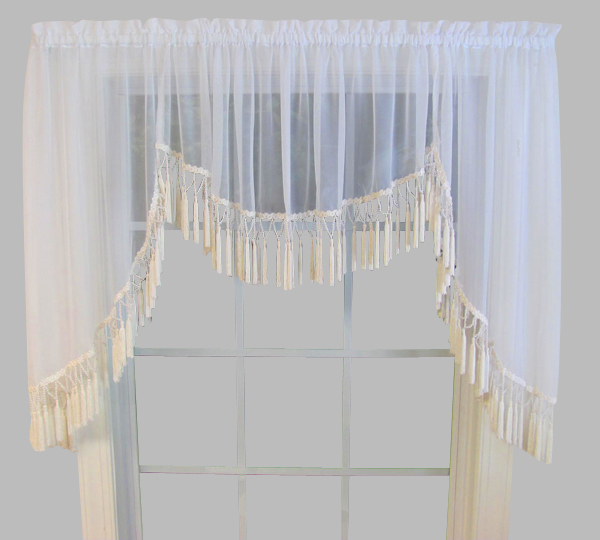 The exquisite workmanship of this white Rajah high-twist voile tab window swag valance shows in the handcrafted border of delicate pearl-look beads with attached long tassels. 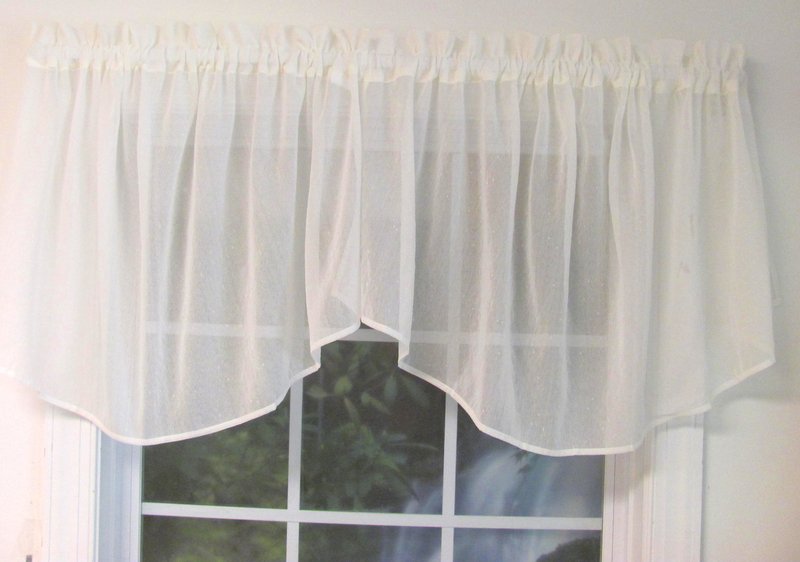 Simply thread your curtain rod through the tabs of this semi-sheer beaded swag valance from The Curtain Shop. Two-tab swags come in 100 percent high-twist toile and are sold individually. Three tab swags with tassels fit a standard single window. Five or six accommodate a double window. This versatile voile window topper can also be used alone for very small windows in homes, vacation cottages and yachts. We carry coordinating Rajah white toile curtain panels in 84-inch and 95-inch lengths. Just like a piece of glass long tumbling in the sea, our Sea Glass collection is simply stunning and comes in a variety of soft cheerful, and timeless colors. Semi-sheer and softly textured, they allow light in, yet still provides a degree of privacy. With its gently slubbed semi sheer texture, Sea Glass is well suited for layering or standing alone on its own. Each Cascade, sold separately measures 56 inches wide and 24 inches Long. The 1 3/4" rod pocket, 1 1/2" header allow for a traditional ruffled crown. Use a standard one inch clear or white rod for hanging. Decorative rod may also be used. 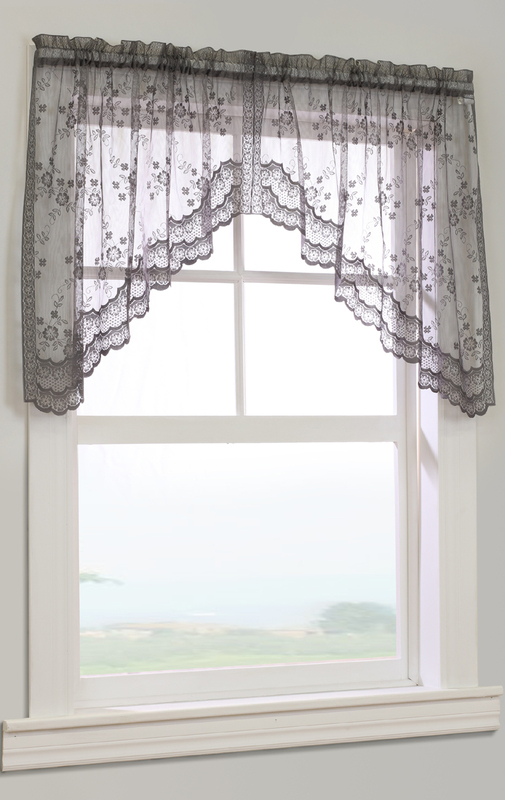 Finish your windows in traditional bridal lace style with the lovely Mona Lisa Tailored Swag. This engineered jacquard sheer is adorned with a delicate floral pattern throughout to scalloped bottom edge. 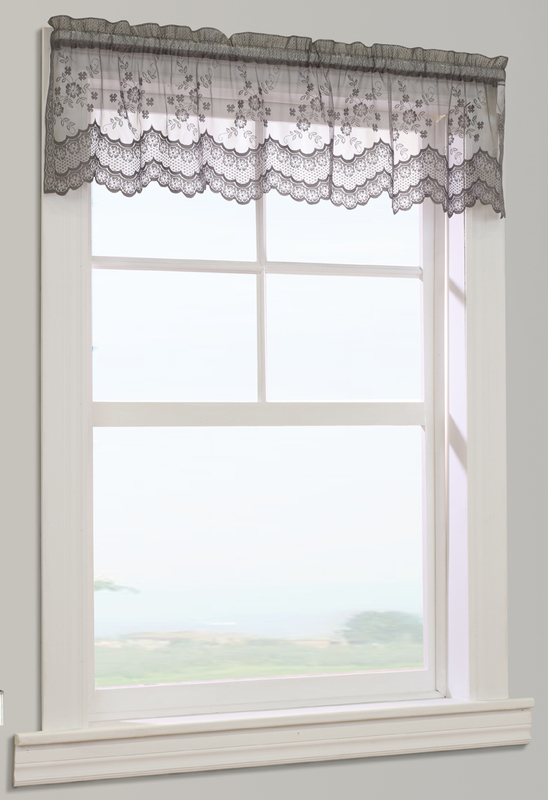 Mona Lisa Lace softens the look of any window as it gently filters daylight in. The Tailored Swag pair, measuring 72 inches wide by 32 inches long, can be used with the Tailored Valance to accommodate a wide window. Allow two to three times the width of your window for proper fullness. The two piece Swag features a 1 1/4 inch rod pocket and header, selvedged sides and a pretty scalloped bottom. 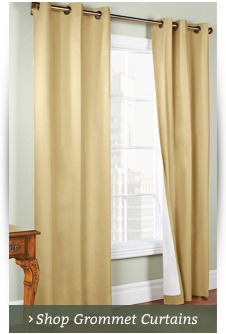 Let a little light in with sheer valances from The Curtain Shop. Sheer and semi-sheer valances are excellent for rooms where natural lighting is welcome but privacy and attention to detail are essential. 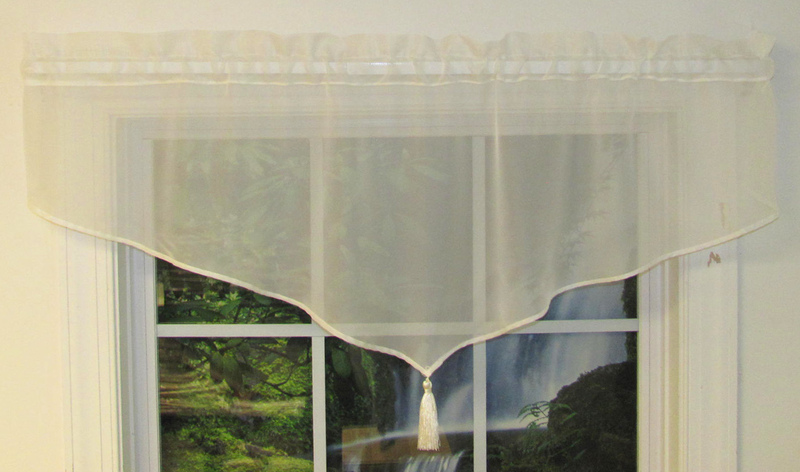 The Curtain Shop is the best place to find the perfect sheer valance for the kitchen, bathroom, bedroom or home office, because we hand-pick stylish and high-quality sheer valances that won't break the bank. You'll find easy-to-style sheer white valances plus a variety of neutral and colored styles at The Curtain Shop. Shop tailored sheer swags, sheer tassel valances, sheer scarf valances, lined sheer valances and other fantastic options in our store. Create a stunning traditional window treatment with a set of sheer curtains with a valance or highlight the room's view with a standalone valance. The Rajah Pearl White Gathered Valance makes a great valance for your sheer curtain vision thanks to its high-twist voile tabs and delicate pearl-look beads with attached tassels. 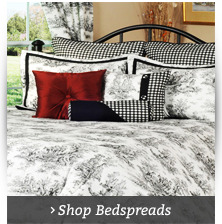 This decadent sheer swag is perfect for any formal or traditional living space.